The BLU-SI BLU Link Card for Soundcraft Si Series from dbx is a 32 x 32 interface between Soundcraft Si Series consoles and the BLU Link digital audio bus. 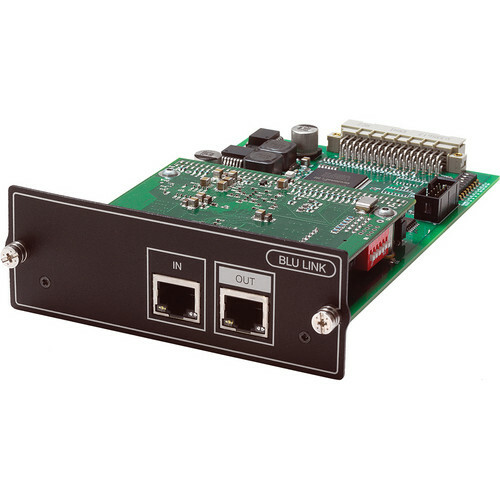 The card allows connection to a wide variety of products equipped with a BLU Link interface such as BSS London BLU 800, dbx PMC, or Crown PIP-BLU interfaces (all sold separately) amongst others. BLU Link is a low latency, fault-tolerant digital audio bus of 256 channels, which uses standard CAT5e cabling to give a distance of 100m between compatible BLU Link enabled devices.